← “500 Happy Returns” Now on Sale! Hello world! After months of inactivity, racked with illness and apathy inducing painkillers, my DD is teaching me how to write my blog, and to bring entertainment and information to my many fans. 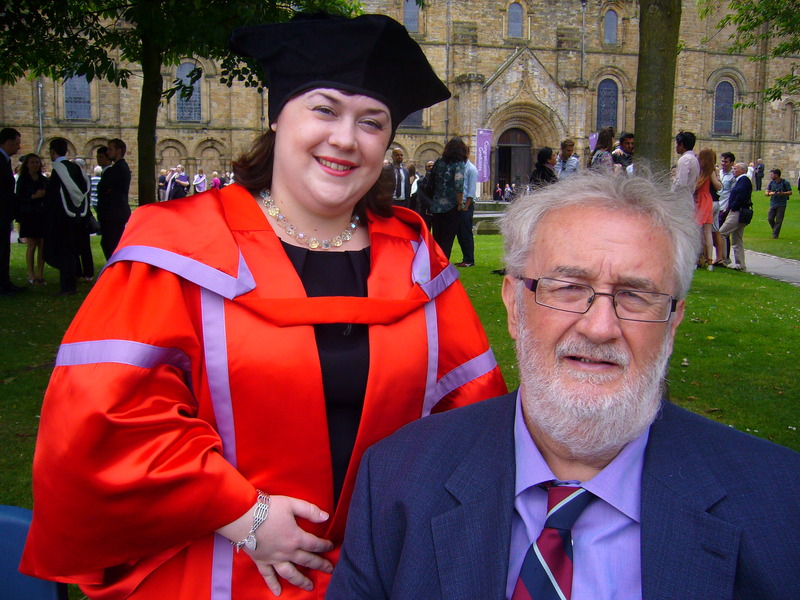 Did you know, for example, that Durham University recently held its graduation ceremonies, and my DD became Dr DD ? She was dressed in a tasteful costume that made her look like a fourteenth century Holland supporter. I was so pleased that, at last, the financial expenditure was possibly drawing to its end, that early the following morning, I climbed the nearest hill, threw my last £6.17 to the winds, and waved my crutches at the rising sun.